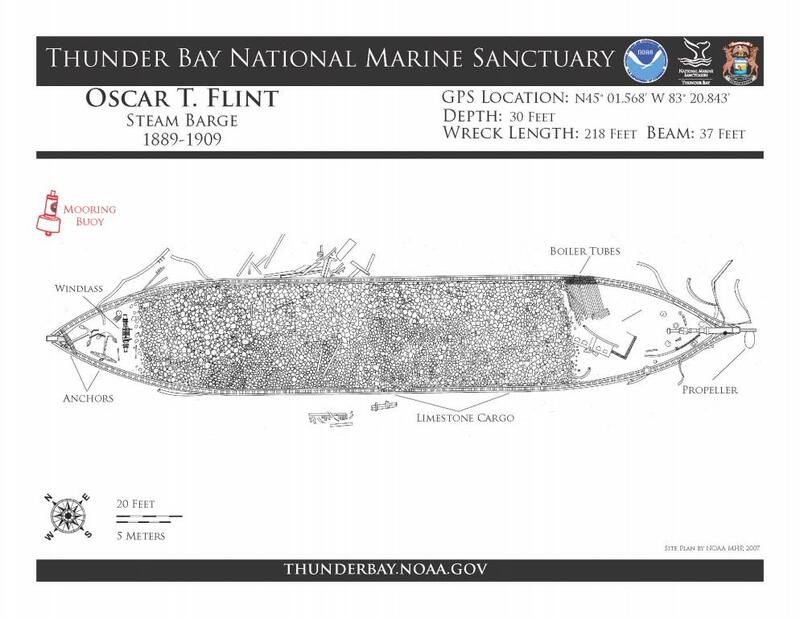 Description: The Oscar T. Flint caught fire just after leaving Alpena, burned to the waterline, becoming a total loss about 4 miles east of the Thunder Bay River. Except for the bow, much of the ship's hull is still intact, along with much of the limestone cargo. The Flint's boiler was dynamited and the propeller lies buried beneath the stern post. The anchors and windlass seen at the bow were reportedly brought there from the wreck of the schooner Lucinda Van Valkenburg. Wooden anchor stock at bow.